Moments of evaluation are moments of reflection, feedback sharing, and alignment of expectations. These expectations can be of performance, evolution, and rewards. Self-knowledge is the first step in the process of development and self-development. How can feedforward and feedback help with this? Firstly, we need to be aware of the consequences of good and bad feedback. Bad feedback creates a defensive and confrontational attitude because it is focused on guilt. Furthermore, it does not promote the development of competence and decreases confidence and self-esteem. It also leaves the interpretation to the other, consequently leading the person to feel judged. Creates trust and cooperation, because it is focused on possible improvements or achievements. Promotes the development of competence and increases confidence and potential. Moreover, it clarifies exactly “where I am” and “where I am going”. Lastly, it leads the person to feel “helped”. The concept of feedforward was created in 1976 by Peter W. Dowrick in his doctoral thesis. Feedforward, according to cognitive-behavioral theories, is a method of teaching and learning that illustrates or indicates a future behavior or path desired for a goal. It values the strengths and potentialities and strengthens what you can become better at. Unlike feedback, it encourages people to think about how to direct the future. Moreover, it focuses on opportunities and solutions, and not on weak points. When the focus is the past it becomes very negative. Feedforward is part of the result of the performance and reorientation. Often when giving feedback to a colleague or team member we focus only on negative points… is limited to analyzing. As Andrea Fontes said, the focus should be on the present and the future – What must I change, optimize, or improve? Build on the potential, strengthen where to become better, and encourage people to think about how to direct the future. Ask yourself, what do I do well? We will hardly be excellent at the negatives. We can and should improve them, but do not focus on just that. Most importantly, feedforward values strengths and people’s potential. Besides that, it encourages people to think about how to control their future. It concentrates efforts on opportunities and solutions, not weaknesses. People do not view feedforward as personally as feedback and tend to listen more closely to it. 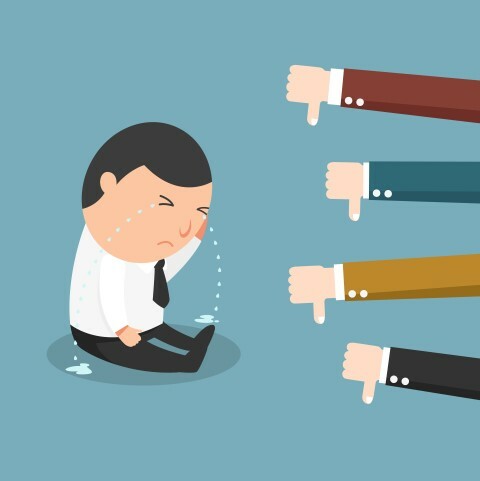 Feedback can reinforce personal stereotypes and negative self-fulfilling prophecies. 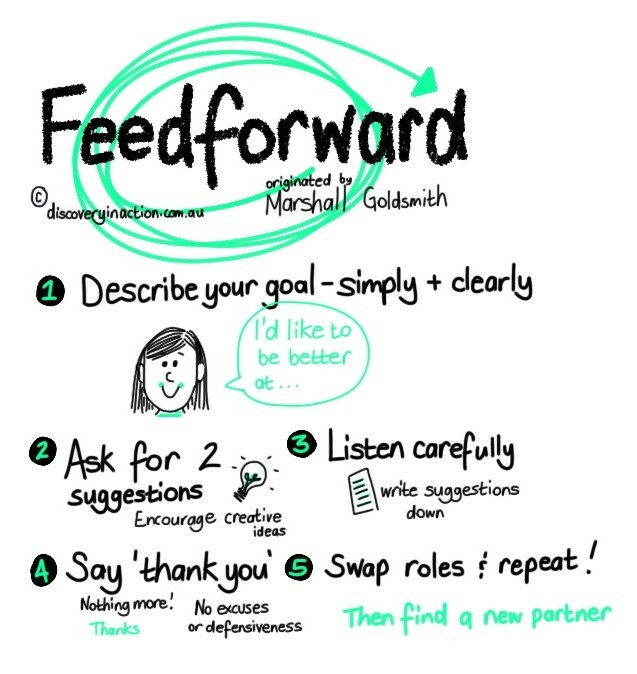 Feedforward tends to be much faster and more efficient than feedback. Therefore, feedback should focus on the potential for development, by being integrated with feedforward! Take an active role because it is YOUR evaluation. Do not assume a defensive role – ask questions, ask for examples. Reformulate, translate until both have the same perception. Ask for guidance on how to reach the goals. Have the objective of developing and strengthening confidence always present. Ask questions – listen – do not debit. Feedback must be consistent – schedule periodic status. Ask for feedback. 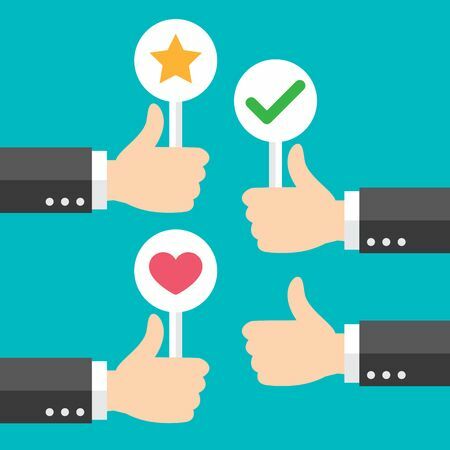 This article can help you on this matter as it perfectly shows how to ask for feedback at work. The link between feedback and feedforward is essential for development. Coaching works with the same feedforward concepts, aiming at the focus on development through mechanisms of self-regulation and consequently the attainment objectives. Tap My Back not only helps you understand how to give and ask for feedback, as it provides you with the right tools to achieve a continuous feedback culture.